Indian ethnic wear is no longer just reserved for religious ceremonies or traditional parties. Kurtis are now worn by Indian women as a part of their daily wardrobe. Kurtis are comfortable and hassle-free, which is why they are one of the favourite wardrobe staples of women all across the country. These can be paired with different kinds of bottom wear for refreshing looks. 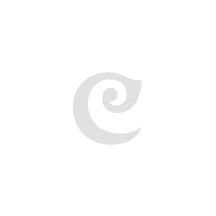 Craftsvilla has a vast collection of kurtis in orange made from fabrics like cotton, Georgette and rayon. Cotton is the perfect choice if comfort is a priority to you. 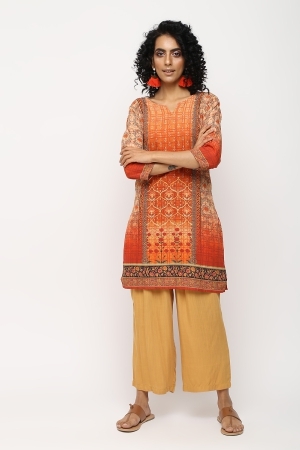 Orange cotton kurtis are soft and breathable and doesn’t irritate the skin even after wearing it for an entire day. All you have to do is wash and iron it to make it look brand new again! Anarkali orange kurtis made from georgette fabric largely fall under the party wear section. These have beautiful embroidery and exquisite embellishments which make the wearer noticed wherever she goes. The vibrancy of the orange colour is considered to be perfect for parties and auspicious occasions where warm colours are preferably worn. Rayon is a light, breathable material and is often blended with cotton to form a soft, comfortable fabric. The best quality of rayon orange kurtis is that they don’t crease and are perfect to wear while travelling or to the office! Kurtis can be worn with different types of bottoms like palazzo pants, cotton leggings, jeans and even skirts. All you have to do is pick the right orange kurti online type and length. While straight cut long kurtis go well with roomy palazzos, body hugging orange kurtis pair well with cream or off white leggings. Short orange kurtis go well with long skirts in light colours and help you pull off a smart ethnic look. We have a large collection of orange kurtis with creative designs and cuts to choose from. Beautifully crafted borders with long sleeves patch work design that gives it a refreshing look and self-design materials that add a whole new structure: find all types of orange kurtis on Craftsvilla! Ditch the same old light colours and try out our new collection of exquisite colours that match all skin tones. Take your pick from a variety of unique designs and stand out in our vibrant orange kurtis!